Hello after update of system i get this error when i try to run skype from terminal, it doesnt start any other way either. I tryed reistaling skype and removing skype related files and folders. But it didnt help. Please let me know if i can provide more information or you know how to fix it. I have tried to load the program in several different desktop environments and haven’t had any luck in any of them. It was working fine in all desktop environments (Plasma, Xfce, Cinnamon) until I did a system upgrade this afternoon. I just turned on my computer to find out that I, too, am having the same issue. “Core dumped”. It` s got to do something with the last updates. There was a bunch of lib32 updates. Okay everyone. I have a solution. The issue relates to the lib32qt-qt4 updates from the afternoon (my time) of 6/4/2015. Here is the fix: Downgrade. Enter the following into terminal. I hope that solution works for everyone! Good luck! @anarch I’ve been using Antergos for quite some time and never had any issues. This is the first time, and this is a minor problem. Ubuntu used to be my main distro–it’s the one I started out in–but ironically I had many issues with it, and so I moved to using Arch. Ubuntu had a lot of problems with how the greeter and LightDM etc played with the proprietary nVidia drivers I was using. Those issues caused me to end up seeing nothing but a black screen on startup–which is kind of a big deal. :P I also found that a lot of times with Ubuntu, unless you upgrade with a clean install, there were issues. I didn’t like having to start over entirely from scratch every time I wanted to upgrade with Ubuntu. I don’t mind the backing up of data, I do that anyway. I did mind having to reinstall program after program and reconfigure settings etc to get the programs to look and function the way I want. I think it’s just a matter of preference and how each distro plays with your hardware. I find that Arch is actually more stable in my case, and I have the benefit of a rolling release. So, there’s none of that nonsense of spending a lot of time to reinstall programs on a fresh system and configure those programs back to how they were before I upgraded and so forth. Another thing I have noticed that is different between Antergos and Ubuntu is how well they work if you have multiple DEs installed. In Ubuntu there were a lot of compatibility issues that would pop up if you had a few DEs. I have KDE Plasma 5 (which is atrocious by the way, I would recommend Plasma 4 as I think it’s much nicer), Xfce, LXDE, Cinnamon, MATE, GNOME, and I think there may be one or two more that I can’t remember off the top of my head, installed on my Antergos system and I don’t have any of the problems of compatibility–where programs will try to pull styling and so forth from one DE into another and not be able to do it and so the programs crash or don’t look correctly etc. I don’t know why Antergos has less of an issue with handling multiple DEs than Ubuntu does, but that’s just been my experience having used it all these months. You got me wrong, mate! If you look at my signature you will see that Antergos is my main distro. As I already have said before, I kept Ubuntu for such cases. 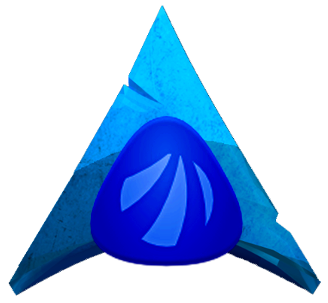 Arch Linux (and thus Antergos) at some point or another, will do have their failures due to their rolling & bleeding edge material philosophy. Having this in mind, it is a good practice to have a backup, more conservative, distro. I am at work now and I need a system to fully work so that I can be productive. And at that time I need to have Skypein my job. It is not a big deal waiting for a fix (which they usually are fast). No hard feelings at all!!! I don`t have any feelings for…Canonical! Thanks for the downgrade tip! How do I get myself notified by email when there is an update to a thread? If I don’t make a comment. @anarch Really?! Was he giving a lecture? I think he’s just about one of the smartest people when it comes to technology ethics. It’s kind of scary just how ignorant most people are about the things he’s talking about regarding Free Software! @opalepatrick You know, I actually looked to see if there is a way to get an email notification without commenting, and I didn’t see any option for that in settings, nor do I see anything anywhere in the threads where there is any sort of a “Follow” button or anything like that. I only just started using the forums a few hours ago, so I may just be missing something but, I don’t think there’s a way to get an email notification without commenting. It’d be a nice feature to have, though! on every upgrade pacman and pamac will issue a warning message, about not upgrading the ignored package, which is normal. It’s a recent bug in Arch. @just Thanks! I had no idea you could do that! :D That’s a huge help. Thanks it works for me too ! thanks for replies guys ill check it once i get home, hope it works, love the community.